Outdoor speakers with live plants and dirt. Fully weatherproof with a Lifetime warranty. 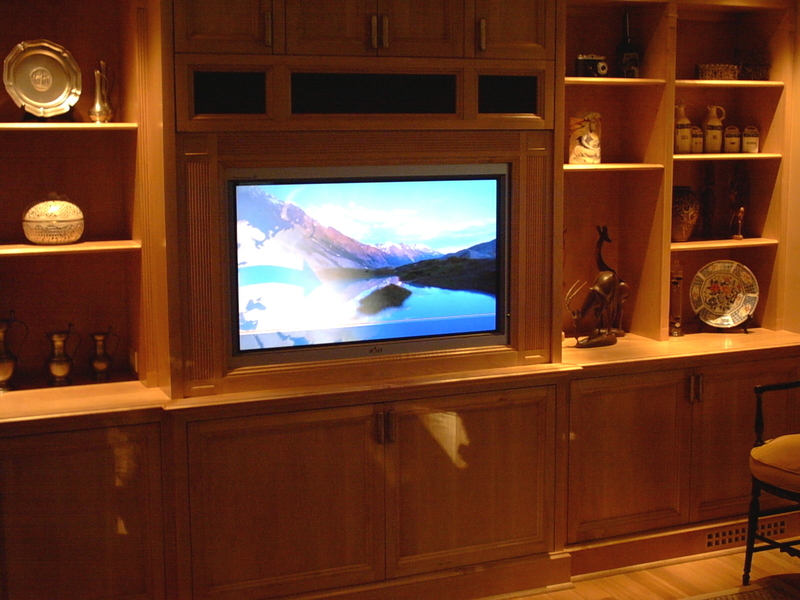 A 42" Plasma Display fitted in custom designed cabinetry. Left, Center, and Right speakers are located behind the specially made grille cloth above the display. The subwoofer is hidden in the lower cabinet. 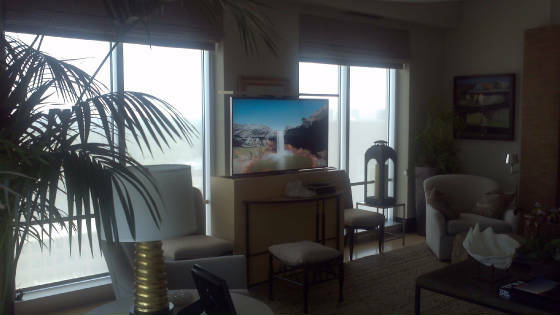 Automated TV lift in a custom designed cabinet in a Master Bedroom. 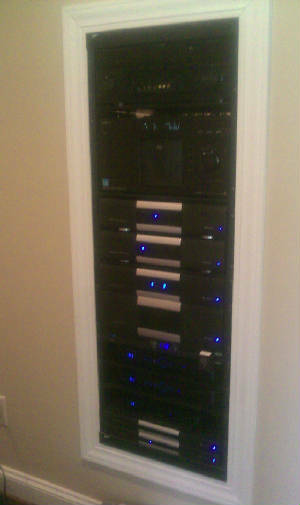 Lutron Automated Blackout and Sheer shades in the background. 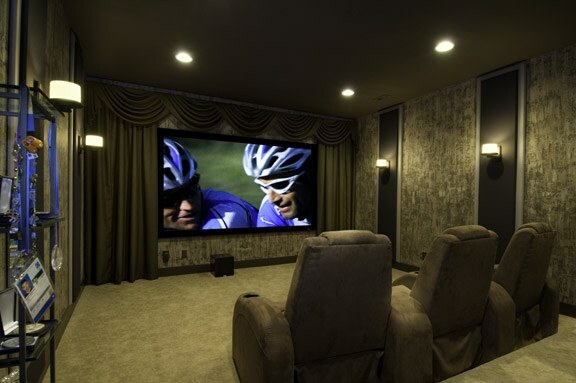 Home Theater and Whole House Audio/Video equipment, custom built into the wall to allow for aesthetic appeal and easy access without taking up valuable floor space. 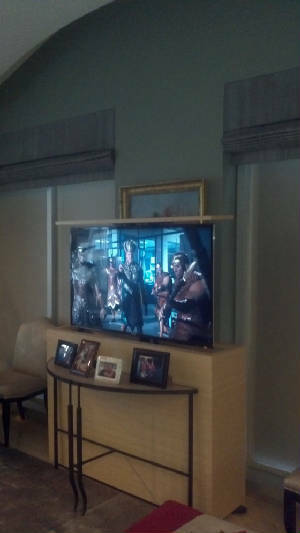 Motorized, pop-up LED HD TV in a custom designed cabinet. Controlled by an Elan g! System control.